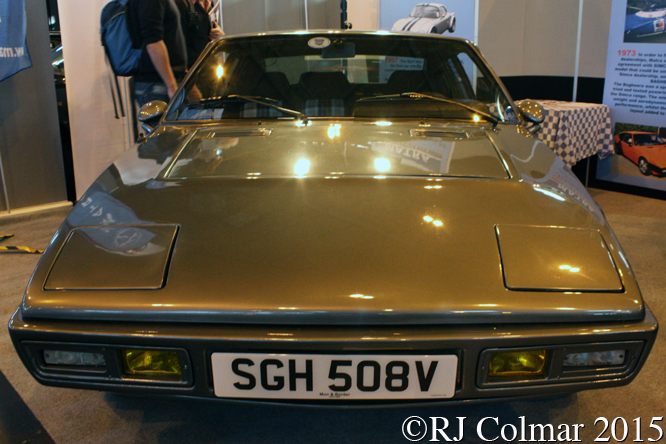 After Matra entered an agreement with Chrysler Europe to distribute it’s Ford V4 powered 530 through the Simca dealer network in 1969 the two companies agreed to work on a new Chrysler Simca powered replacement which became the Matra Simca Bagheera which was launched in 1973. Designed by Antonis Volanis the Bagheera, named after Rudyard Kiplings panther character in The Jungle Book, retained the mid engine layout of it’s 530 and Djet antecedents, but unusually featured three seats abreast in the cockpit. 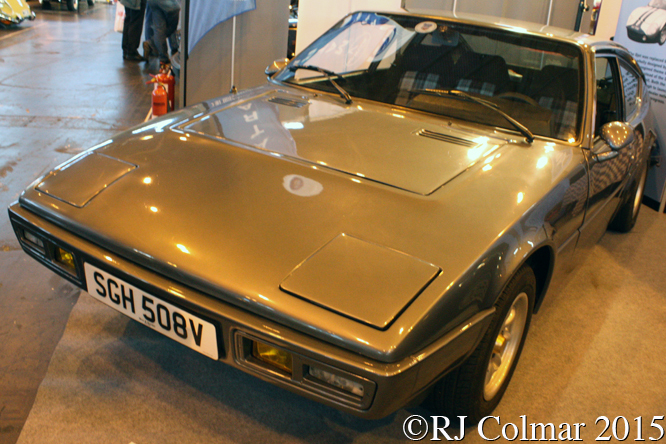 British motoring LJK Streight was so impressed with the Bagheera when he tested it that he likened it to a “baby Lamborghini Urraco”, the only downside to the model was that the steel chassis beneath the fibre glass body had no rust protection and was prone to rot. 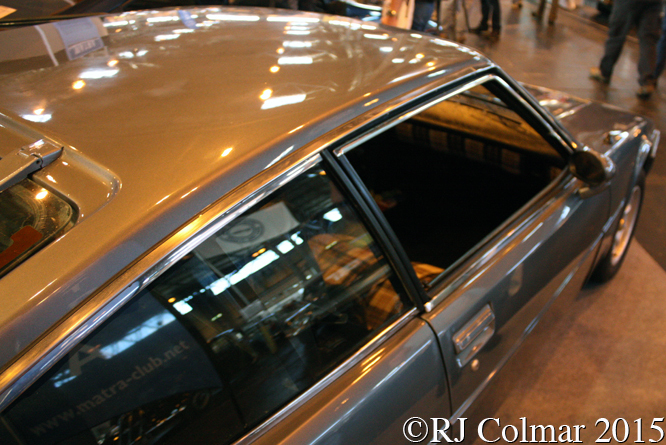 The Bagheera’s body was updated in 1976 and the interior in 1978, the model seen here at the Classic Motor Show was built in 1979, in July 1979 the model was rebranded as a Talbot Matra Bagheera, and was first registered in the UK in April 1984. In all 47,802 Bagheeras were built between 1973 and 1980 when the model was replaced by the Talbot Matra Murena a model I shall be looking at next Tuesday. Thanks for joining me on this “Baby Urraco” edition of “Gettin’ a li’l psycho on tyres” I hope you will join me again tomorrow when I’ll be visiting the Classic Motor Show at the NEC in Birmingham. Don’t forget to come back now ! 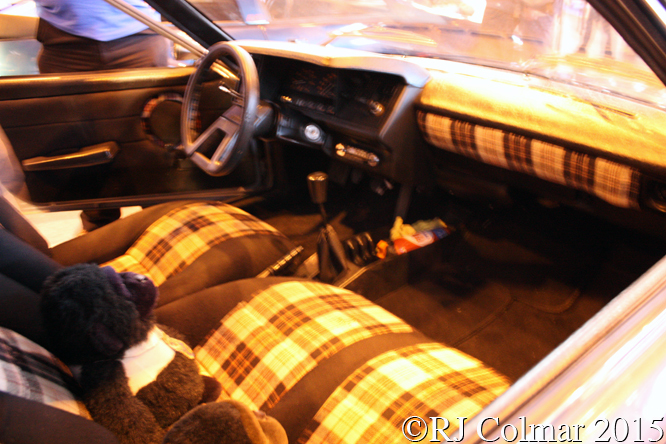 This entry was posted in Uncategorized and tagged 1100TI, 1308, 530, Bagheera, Birmingham, Classic, Colmar, Djet, Kipling, Matra, Motor, NEC, Psychoontyres, Ralph, Show, Simca, Streight, Talbot, Urraco, Volanis on November 17, 2015 by Ralph.